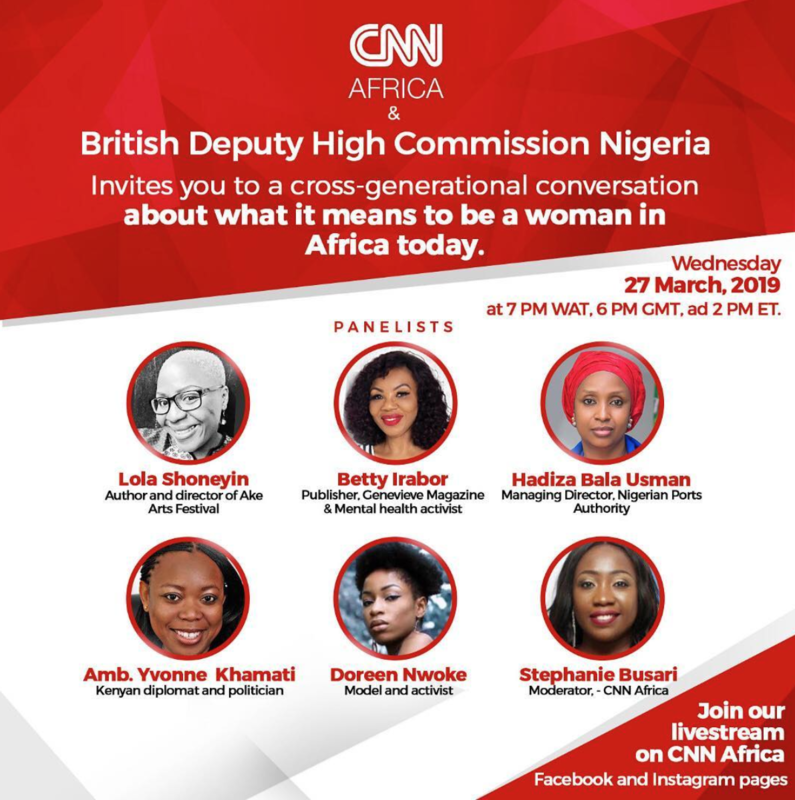 Today, CNN Africa and the British Deputy High Commission in Nigeria will be hosting a discussion on what it means to be an African woman today. It is a rare conversation of women across different generations sharing their experiences as they close out Women’s Month. On the panel are Lola Shoneyin, author and director of Ake Arts & Book Festival; Betty Irabor, Publisher of Genevieve magazine and mental health campaigner; Hadiza Bala Usman, managing director of Nigerian Ports Authority; Ambassador Yvonne Khamati, a Kenyan diplomat and politician; Doreen Nwoke, a model, feminist and activist. The discussion will be moderated by Stephanie Busari, who heads CNN’s multiplatform bureau for Nigeria and edits CNN Africa digital. People all around the world can join in the conversation as it will be live-streamed on the CNN Africa Facebook and Instagram pages. 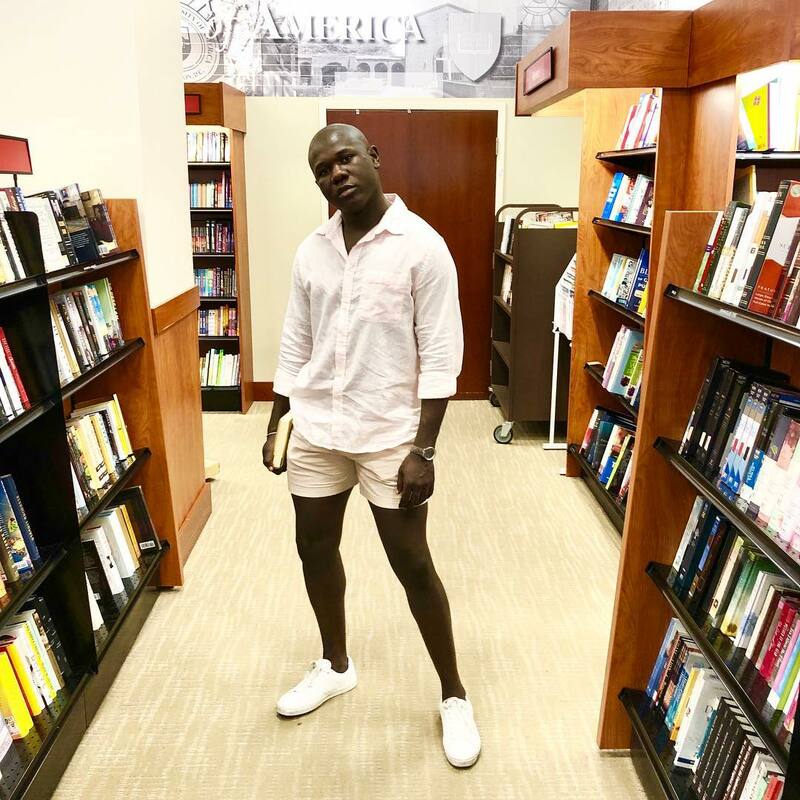 The post Join Betty Irabor, Lola Shoneyin, Hadiza Bala Usman, Yvonne Khamati & Doreen Nwoke for a Night of Cross-Generational Conversation | March 27th appeared first on BellaNaija – Showcasing Africa to the world. Read today!.